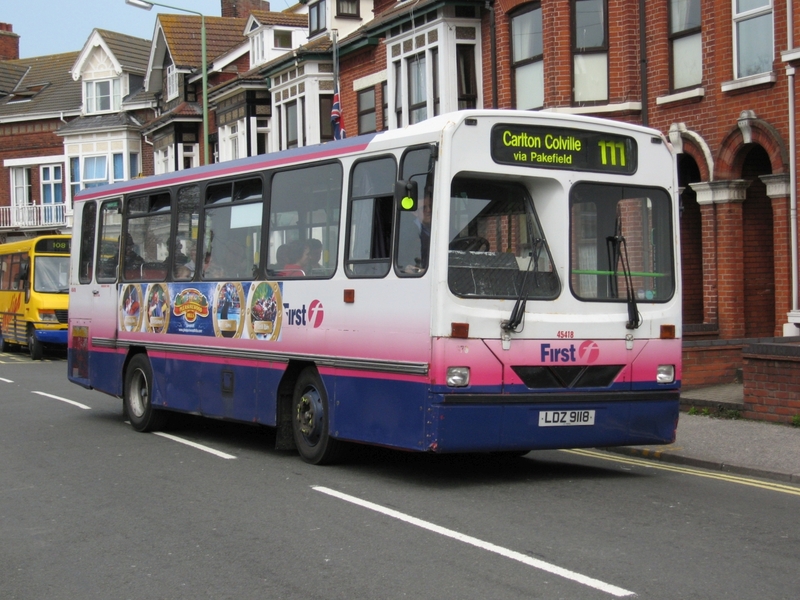 With low loadings being noted on the 60J, it had been speculated that a minibus might be used on the route. 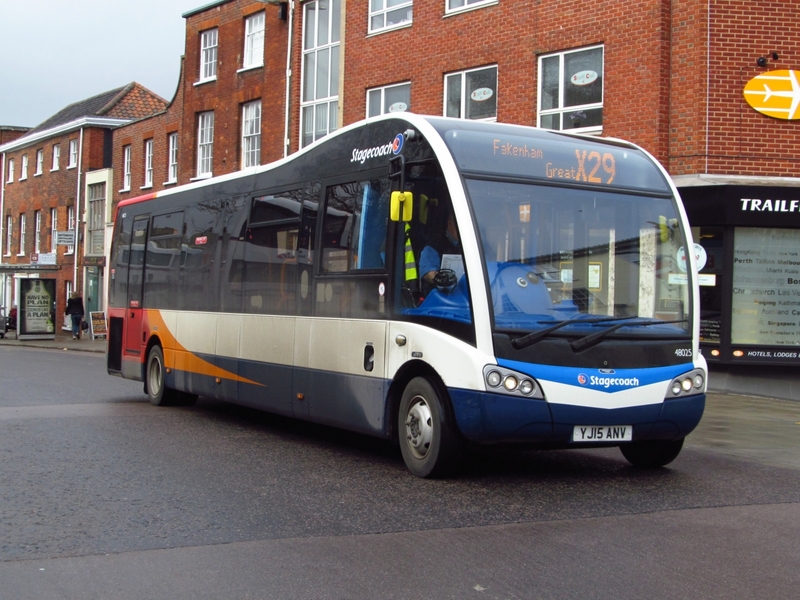 However, the second day of the service saw ADL Enviro300 SN56AYP in control. The photo shows it having arrived at the JPH today with the 10:15 from Lowestoft with no passengers alighting on arrival! First's services X1 and 1/1A towards Gorleston and Lowestoft have moved from stand A (outside BHS) to stand H. If there are two buses at the same time, then adjoining stand J will also be used. 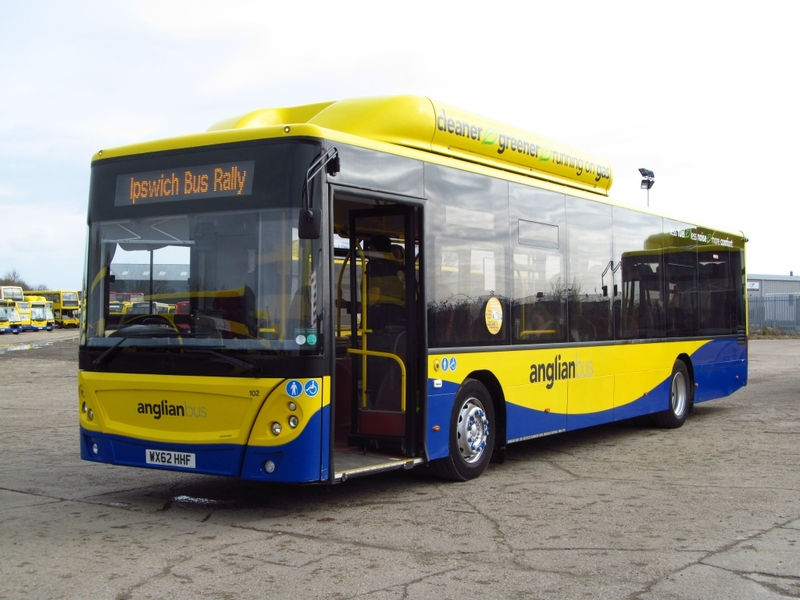 At the same time Anglianbus service 61 to Kessingland and Southwold are departing from stand H (originally using stand A). Whilst the 81 departures to Beccles have transferred to stand A outside BHS. Their 7/7A to Norwich continues to depart from stand G.
The reason for the changes is that the County Council is trying to match the passenger demand to the waiting facility and space available. The twosome were part of a trio used for promotional purposes with one in Eastern Counties red, one in Flying Banana livery and the third in a poor version of a Great Yarmouth blue bus colour scheme. 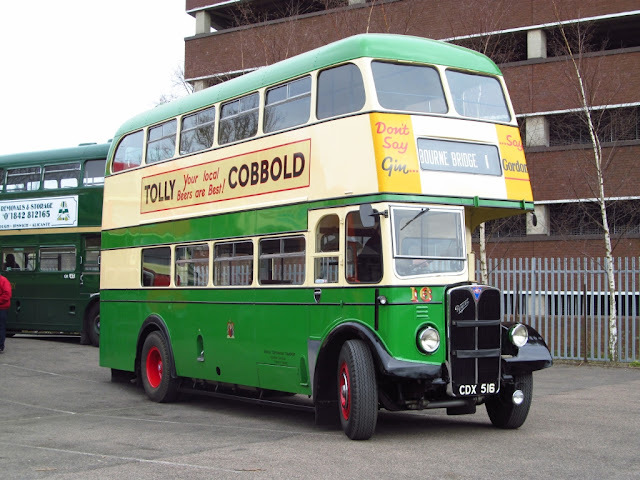 The Ipswich Bus Rally took place on Sunday, organised by the Ipswich Transport Museum it was held on Portman Road in the town. Being a Norwich City fan this was a tad uncomfortable being so close to that other ground for a day i can tell you!, but we got through it!. Our Transport for the day, Anglian 102 WX62HHF. I was invited to attend with Anglianbus by David Smith of Go Ahead and we made the trip aboard one of the fleet of Gas buses, a first for me as i had never sampled one to travel on. We left around 9.45 and headed along the A12 to Ipswich. I was joined by Sam & Kieron from the Norwich Buses Blog for the trip also. On arrival the rally site was filling up rapidly and lots of vehicles were in place with others moving around to operate the various special services for the day, included in the day were depot tours and Bus Wash rides at Ipswich Buses as well as a link to the Transport Museum via many of the vintage & modern vehicles on display. 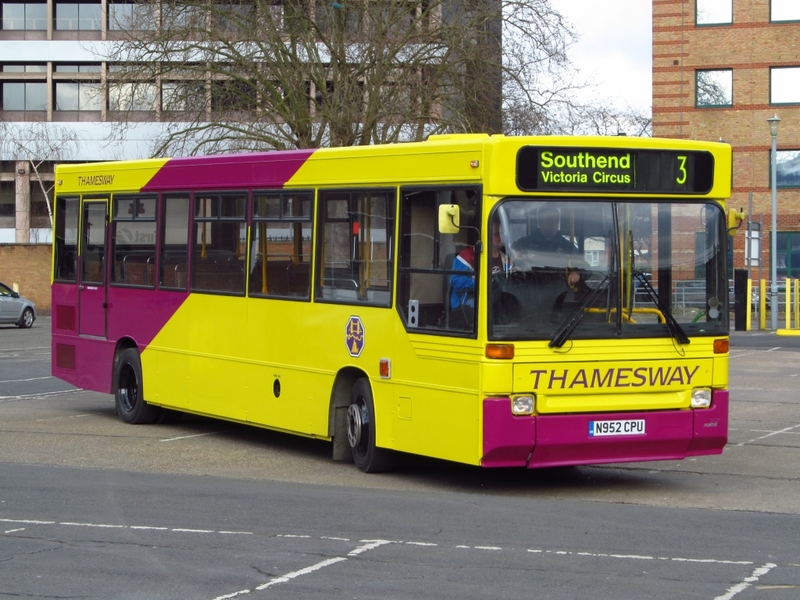 Making its debut on the rally scene was former Thamesway Dart N952CPU,this was its first outing after being repainted into its original livery at Mardens, it was latterly part of First Essex fleet before going into preservation. 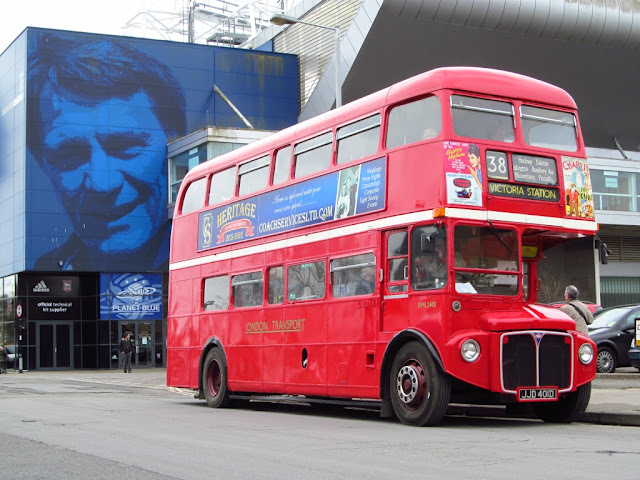 Coach Services of Thetford Routemaster JJD401D pictured outside 'That other football ground' being looked down on by Sir Bobby Robson, you could say Two English legends together!. 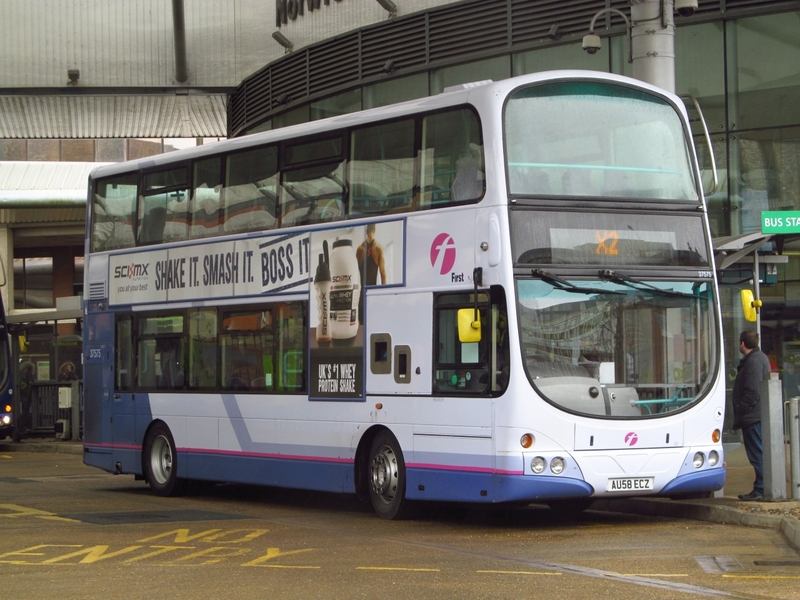 I also ventured into the town centre to have a look in at First's Depot and photograph a few vehicles there and observed quite a number of Ipswich Buses vehicles working their Sunday services including the recent Mercedes Benz Citaro arrivals, 154 BF65HVU is seen here working its usual route 9 in Tower Ramparts Bus Station. Towards the end of the afternoon a line up of all the visiting Bristol RE's was created on the opposite car park of the rally site with seven examples on show including three Eastern Counties versions, RAH681F, EPW516K & GCL349N of which all three looked superb as did all the others on display. A very enjoyable day was had catching up with many people and seeing some classic vehicles still going strong and it was finished off with a quick trip past Ambassador Travel's depot on the way home hoping to spot their two latest arrivals. It was my lucky day as both were parked outside the yard and it was like they knew i wanted photos as they were perfectly positioned to do so. Many Thanks to David from Go Ahead for the invite (We wont mention the braking!) and nice to catch up with many others on the day. 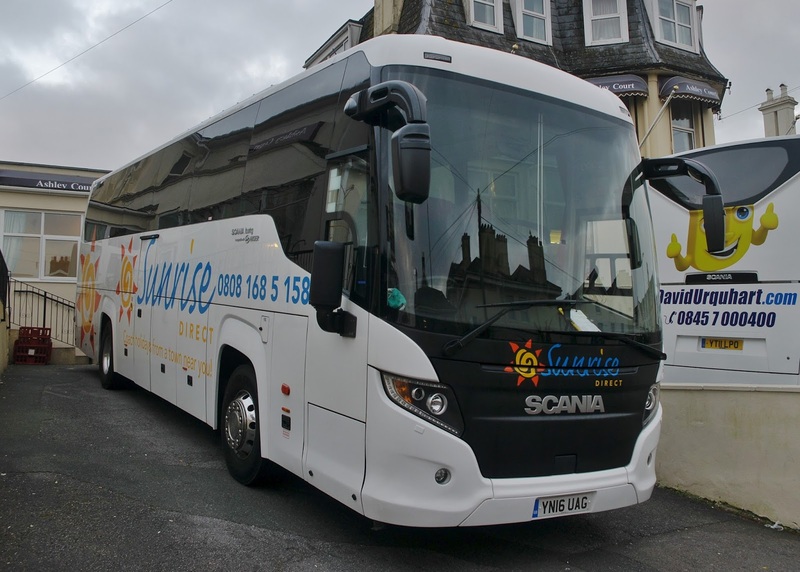 Pulhams, from Bourton on the Water, also has a presence providing two regular Monday to Friday services plus further a Thursday only and Saturday only routes. They also seem to be in competition with Border Bus in getting as many buses as possible with BUS appearing on their registrations! As usual a gloomy start to a Saturday i had planned for some photography but with a strong will i decided to venture up to Norwich to capture some of the latest arrivals around the various local operators. First sighting of the morning was one of the trio of ex London DAF/Wright Geminis belonging to Sanders, LJ53NHP was sitting in St. Stephens about to depart on the X44 to Sheringham. LJ53NHV was also photographed later in the day. Another new arrivals for Sanders are YJ60GDX & YJ64FWF both single deck DAF/Wright which were with Fishwicks of Leyland, neither were seen today in the city but i later found out YJ64FWF would have been going past my front door on the 6 to North Walsham . Stagecoach Norfolk run the X29 service between Norwich and Fakenham and vehicle allocation is very random and all sorts of vehicles from their fleet can be seen working the route. 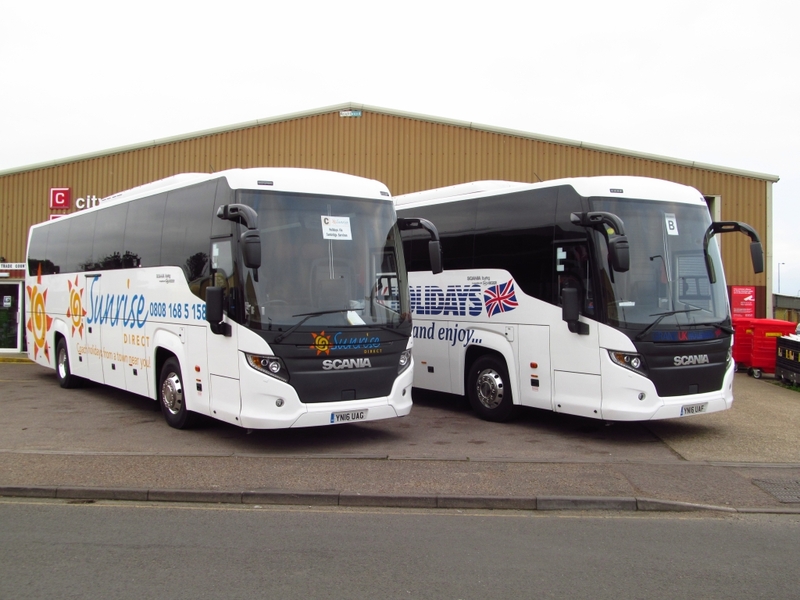 Today was no exception with a variety of Optare Versa, Tempo, Solo & Solo SR in use alongside a Trident or two! 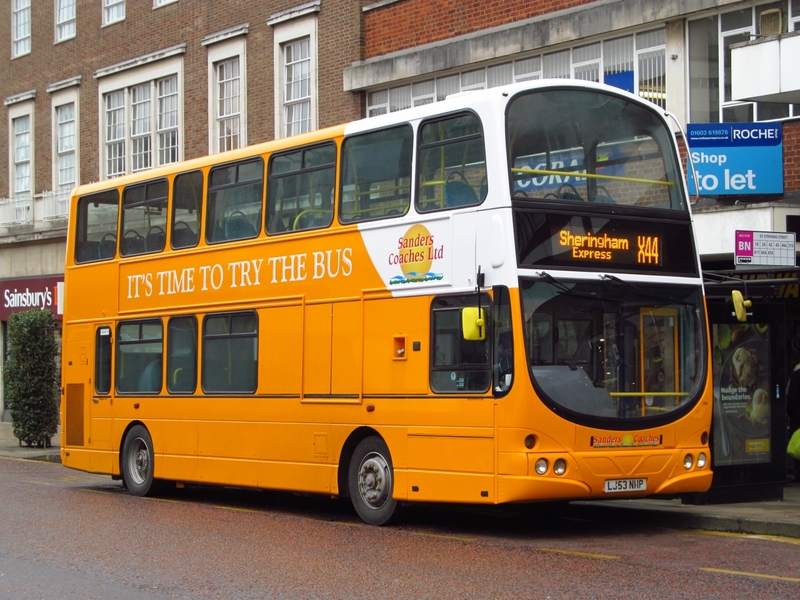 Solo SR 48025 YJ15ANV is seen here in Castle Meadow heading out of the city to Fakenham. Simonds of Botesdale are currently running a pair of Optare Tempos on loan from Kings Lynn based Lynxbus. 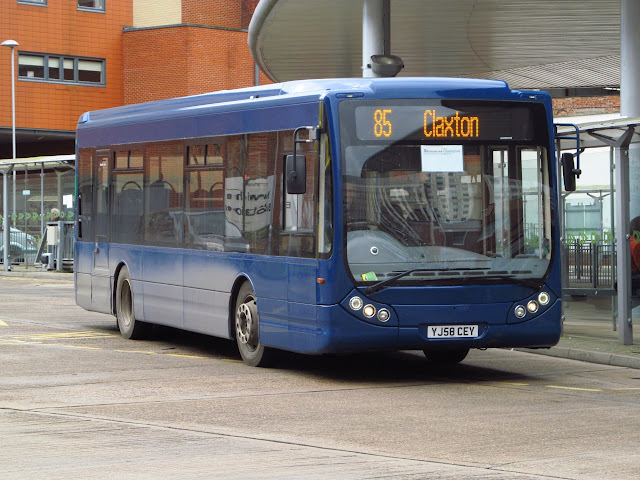 YJ58CEY & PF10MDX are both shorter wheelbase versions and were in use on the 85 service today. 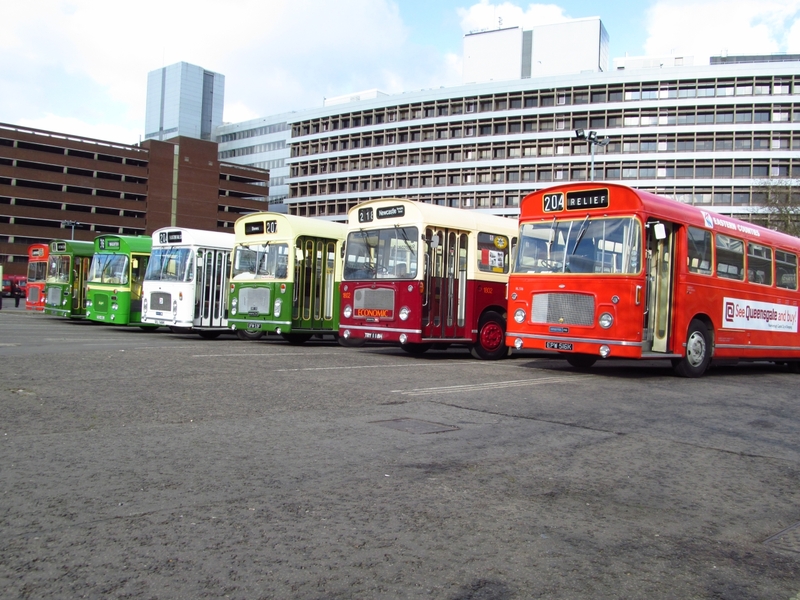 Both are still in a base livery of former owner Diamond Buses and are yet to be repainted by Lynx. 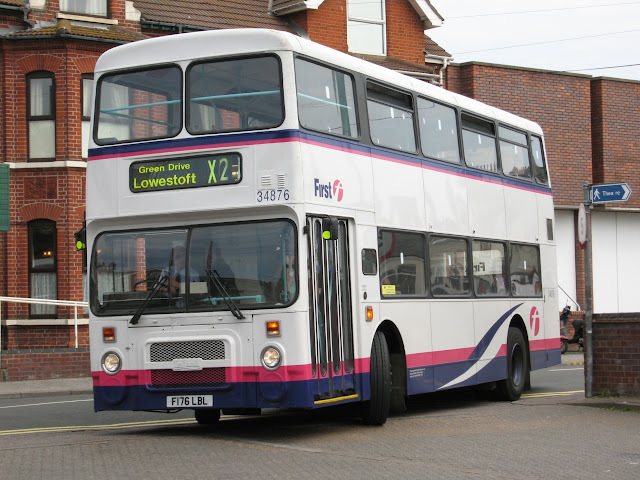 Finally at a very damp Bus Station we have former Great Yarmouth Gemini 37575 AU58ECZ now working from Lowestoft on the X2 today showing a very basic destination screen, first time i have seen this in use. Hopefully i shall be off to the Ipswich running day tomorrow so a full report will be up on the blog at some point at the beginning og next week. I endured a further shake and rattle on my journey home from sister Dart 42921 EU05AUN - the rattling was especially loud when the bus was idling! 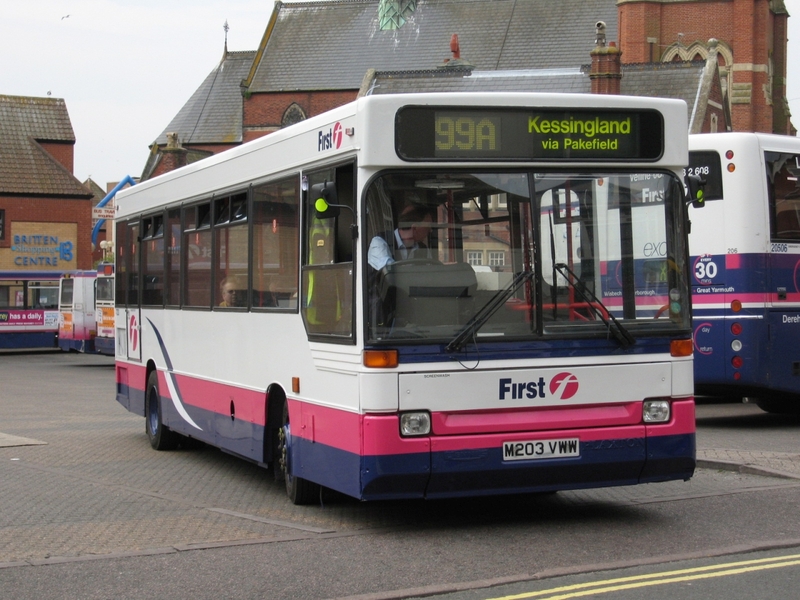 This time we go back to Lowestoft and a visit in May 2006. 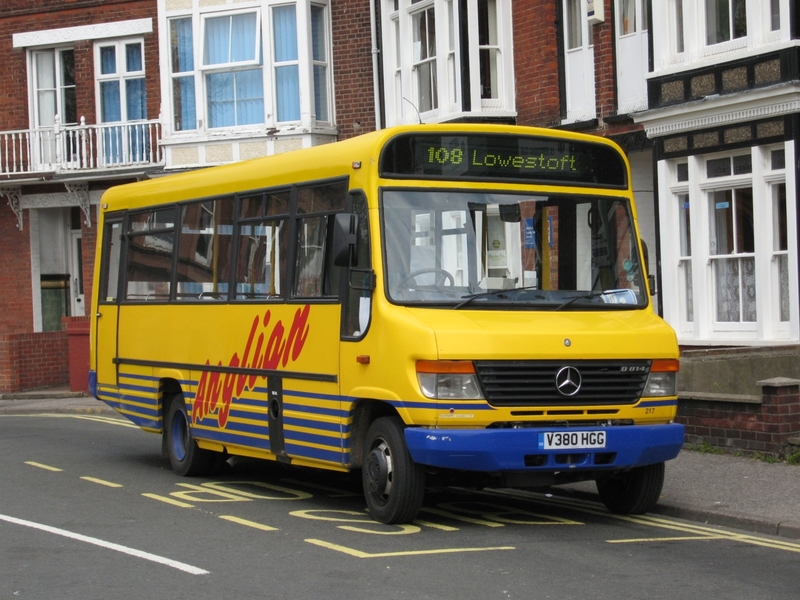 Like today First were the main operator in the town, Anglian were just beginning to appear and they ran the local 108 service using Mercedes Benz Varios. 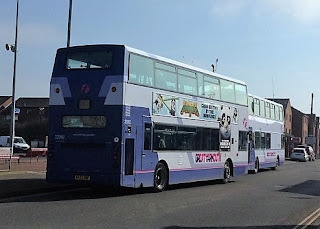 V380HGG working the 108, seen on Gordon Road. 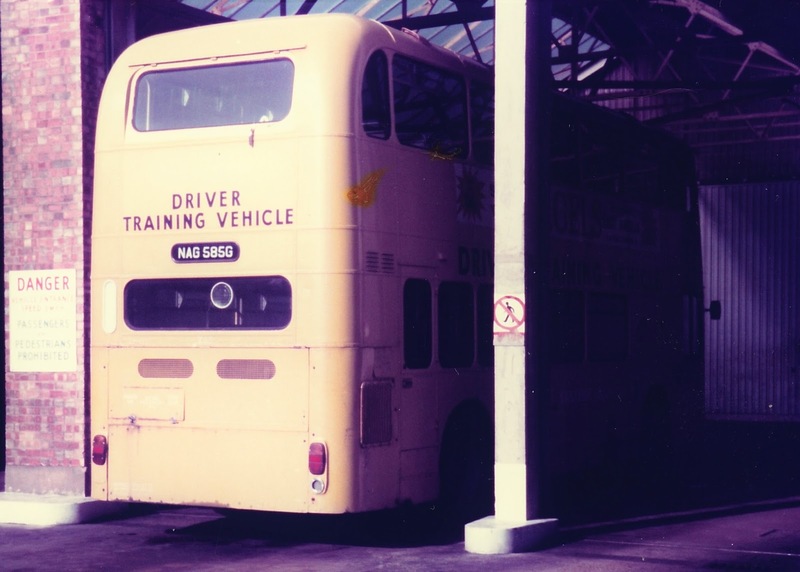 The National Fleet renumbering had begun for First and Eastern Counties had not long gained the new system and the majority of vehicles could be noted carrying a lot of different numbers during the changeover. 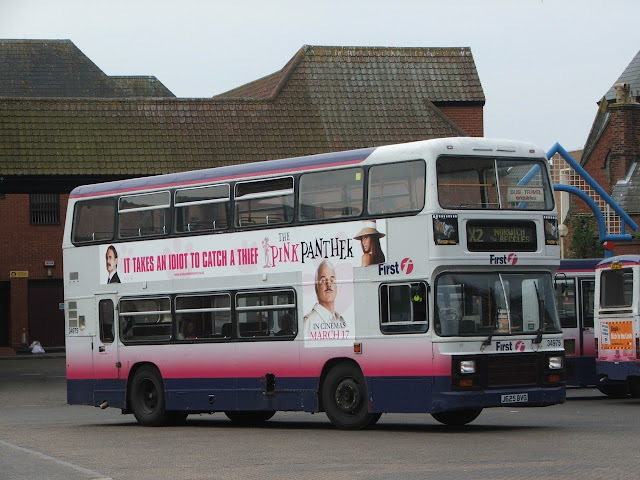 Photography at the time was interesting with the renumbering and a lot of repaints being done as First phased out their Barbie 2 livery (The one with pink fades) in favour of a new version of the corporate livery with a smaller willowleaf at the rear. My final photo shows former Beeline Olympian 34876 F176LBL entering the Bus Station in its new livery, a photo i had placed in Buses Magazine at the time! Hard to believe its Ten years ago since these were taken, i wonder how things will have changed when we look back in ten years from today. 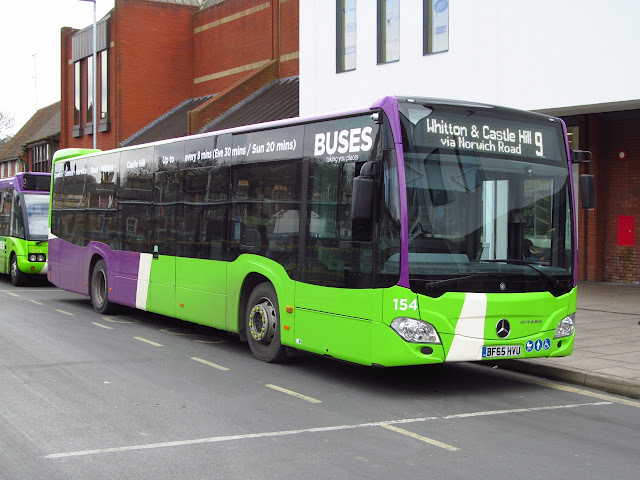 With heavy plant finally arriving at Brasenose Avenue in Gorleston today for resurfacing work, First Eastern Counties put in place their bus diversions for the second day running. The shuttle from Magdalen Square to Gorleston High Street was running again with ALX400 W422SRP this time in charge displaying 'Shuttle Bus' as its destination. It also looks as if First's route 6 to Bradwell and the 7 to Belton could also be diverted this weekend with resurfacing scheduled for the Beccles Road/ Crab Lane area. Heavy plant was seen parked up at the latter earlier this evening. First also provided a regular shuttle bus between Magdalen Square and Gorleston High Street, via Magdalen Way. This was to enable some of its passengers to gain access to its other services from the High Street. However, its destination showed 'Special Service' as it could not display Magdalen Square, which led to more confusion! 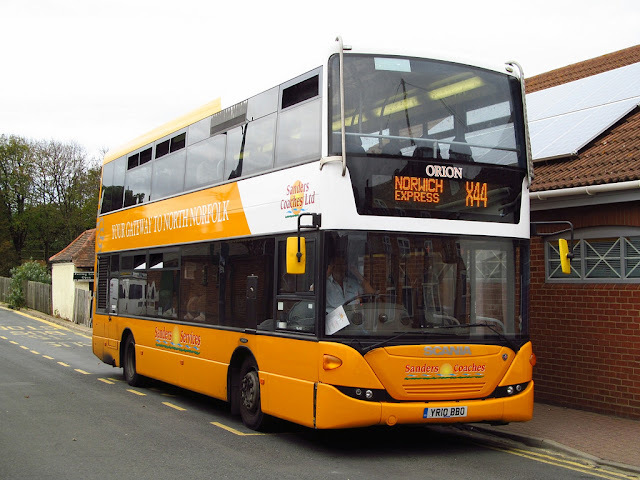 However, as no resurfacing work had commenced by lunch time, services returned to their normal routes this afternoon. What happens tomorrow, and the days after, is anyone's guess!